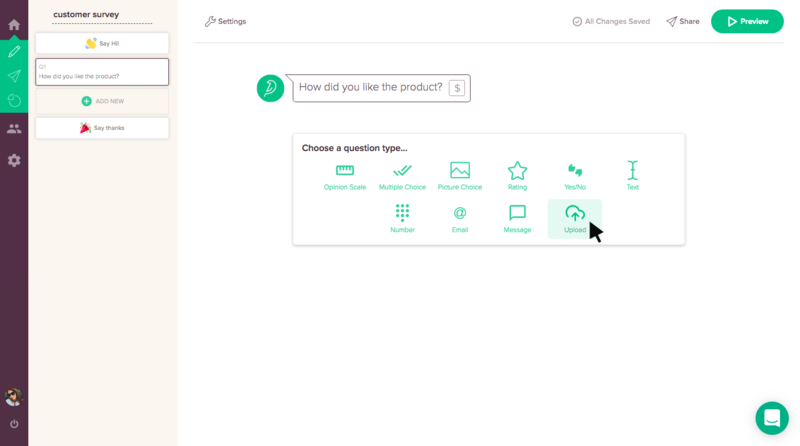 If you want your survey takers to upload a document like a resume, or get a feedback in the form of a video or ask your users upload an image or video, SurveySparrow lets you do it with the file upload feature. NOTE: You can upload files of size up to 10MB. An overall file upload of up to 2GB is supported. Also note that this feature is available only from the Starter Plan onwards. In the survey builder page, click on the Upload Icon from the Question types. 2. Here, you will find the 3 file upload options namely image, doc and video. Tick the ones you wish to upload. You must choose at least one type. 3. Click on Upload bar to upload the files. 4. 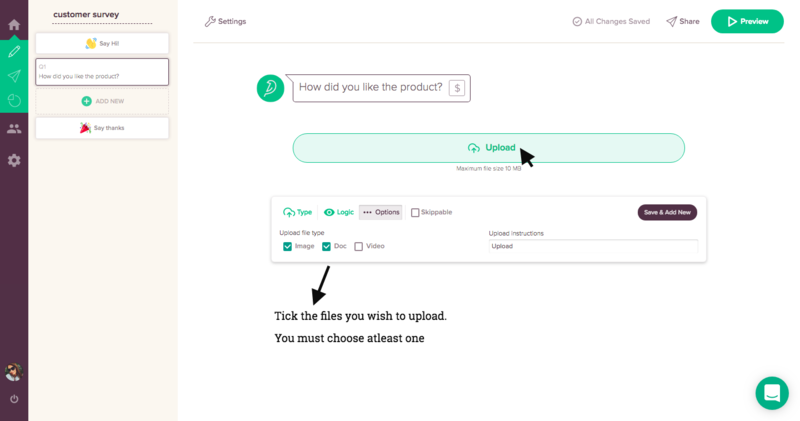 The Upload Instructions tab allows you to set the instructions for upload. You can use this to let your survey takers know about any details when they are required to upload files from their end during the survey. These are automatically updated in the Upload Bar.